Swaraj 742 FE Track Tractor price, specifications, features, applications are under. Swaraj 742 FE Track Tractor fulfill all needs of the farmer. Here, in this page, you can find Swaraj 742 FE Track Tractor’s price in every state of India, Specifications with a detail of Brake, torque, wheelbase. Swaraj 742 FE Track Tractor price is very competitive for all competitors of Swaraj tractor in this segment. Price of Swaraj 742 FE Tractor in Gujarat, Rajasthan, Punjab, Madhya Pradesh, and Maharastra: Rs.₹ 640,000 /- Ex-Showroom. Below is the quick overview of Swaraj 742 FE Track Tractor. Swaraj 742 FE Track Tractor Specifications. Swaraj 742 FE Track Tractor engine, power, HP, transmission, PTO, Brake, torque, tires, battery, dimensions, etc. Swaraj 742 FE Track Tractor specifications are mentioned below. We give you full specification detail of Swaraj 742 FE Track Tractor below. Live Hydraulics 2 lever live hydraulic system having automatic pos B) Automatic Draft Control: To maintain uniform draft.ition and draft with mix control. A) Position Control: To hold lower links at any desired height. C) Mix Control: For simulateous use of position and draft controls for optimum field output. D) Hydraulic Lift Pump: Gear type hydraulic pump delivers 27 I/min at rated engine speed. Above mentioned Swaraj 742 FE Track tractor specifications with full detailed information give you needful information regarding tractor. Swaraj tractor is also known for value for money and low maintenance. Swaraj 742 FE Track Tractor mileage is NA. Tractor is maintaining its mileage in every operation work. All tractors of Swaraj tractor is pretty much feature-laden. Swaraj 742 FE Track Tractor features are below mentioned. It is very useful while operating tractor and farming. Operators comfort is very important while we talk about the tractor. Swaraj tractor gives its best in the term of Features. Swaraj 742 FE Track Tractor is implemented with all user applications which are mentioned below. It is working better with all applications which are mentioned. 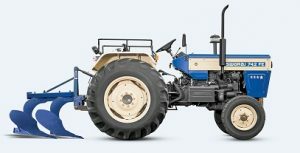 Tractor has enough power to work with applications. Below are all applications which operator can implement with Swaraj 742 FE Track Tractor and work smoothly. Conclusion for Swaraj 742 FE Track Tractor. We tried to give full information of Swaraj 742 FE Track Tractor. Above we include Price, Specification, Features, and Applications of Swaraj 742 FE Track Tractor with detailed information. You can contact us for book your order of Tractor. We will provide full support to you.